Every winter Great Lakes ships come to the Sturgeon Bay Shipyards for refurbishing after a long season on the water. This year 16 ships, small to large, have come into the harbor and been parked at the Shipyards in the Bay’s ice. Makes me cold just looking! Brrrrrr! Such an industrial looking horizon. It must be nice when they clear away somewhat. There is a beautiful wintery stillness about this image but I expect it’s a very busy place! Not in the winter, Christine. 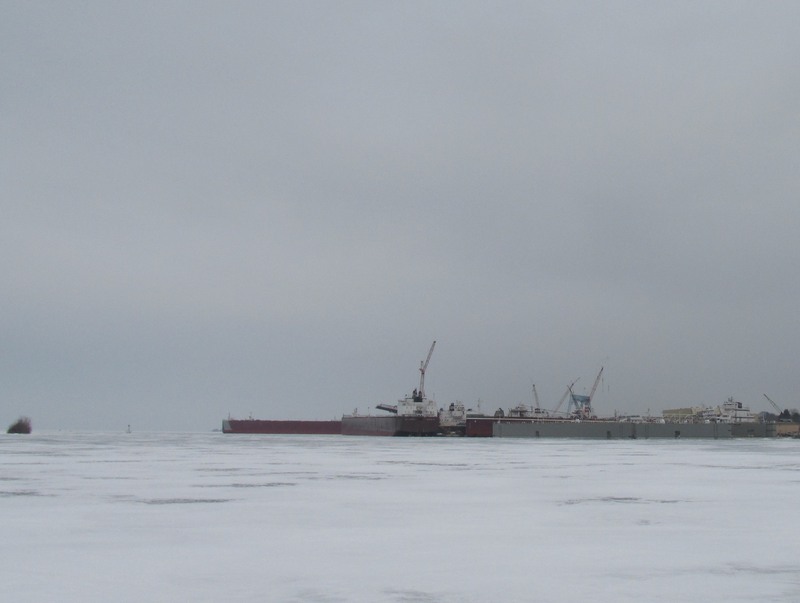 Although all of the ships are being worked on, we can’t see that from Sturgeon Bay and our shoreline.